China’s ambitious investment scheme in Africa and Eurasia, includes Indonesia. The China’s Belt and Road Initiative, first proposed in 2013, provides loans to partner countries to build roads, railways, ports, energy pipelines, and telecommunications. Incumbent Joko “Jokowi” Widodo, elected in 2014, has a vision of making Indonesia part of the world’s “maritime fulcrum”. He wants to achieve this by building ports to support fisheries and shipping to increase the archipelago’s marine-based economy, aside from strengthening the Indonesian Navy as a regional maritime power. Meanwhile challenger Prabowo Subianto and his running mate, Sandiaga Uno, have said they will focus on infrastructure that supports agriculture and rural development. China is keen to invest in infrastructure projects in Indonesia. But before signing any new investment agreements with China, whoever is elected in April’s election will have to be certain that new physical infrastructure financed with debt will be put to good use. Analysts say China’s Belt and Road financing scheme comes with risks and that it lands vulnerable countries in a debt trap and provides avenues for China to gain footholds in strategic areas around the world. The experience of Sri Lanka sends a clear warning. Due to its inability to pay its debts, Sri Lanka had to hand over the failing Hambantota port to China for 99 years. This provided a base for China close to its nearby rival India with access to the strategic Indo-Pacific commercial and military waterways. Other state leaders have also voiced concerns over projects in their countries. Pakistan’s president, Imran Khan, criticised the US$60 billion China-Pakistan Economic Corridor project. Malaysian Prime Minister Mahathir Mohammad has asked the Chinese to reconsider the east coast railway project in the peninsula. The government of Myanmar asked Beijing to scale down significantly the deep-sea port project at Kyaukpyu. In the case of Indonesia, long before China’s Belt and Road Initiative and Jokowi’s maritime fulcrum vision, the country had once already attempted to develop its ports – in Sabang, Aceh, and Batam, Riau – to become centres of international trade. Indonesia hoped that the port cities located along the Malacca Strait, a busy shipping lane that connects the Pacific and Indian Oceans, would become the country’s new centres of growth through export and import activity. But this didn’t happen because Indonesia failed to understand the market structure of seaborne trade in and around the strait. Indonesia developed port areas in Sabang and Batam as free port and free trade zones, dedicated places that house storage warehouses as well as export processing and transshipment facilities that help transfer cargo from one ship to another. Goods in the free port and free trade zones were exempted from import duties and other taxes. But, in the Malacca Strait, Singapore is ahead of Indonesia in the transshipment and logistics market. The small island located at the bottleneck of Malacca Strait became a busy entrepot during Dutch and British colonial rule in Southeast Asia. In the late 1950s, Singapore expanded its entrepot into transshipment services. It also expanded into the logistics market, providing services to support the movement of goods. To attract container ships and oil tankers to stop at its port, Singapore provides bunker services to refuel ships. Singapore built three oil refineries with a total capacity of 1.3 million barrels per day to enable refueling at a competitive price. This exceeds Indonesia’s oil refinery capacity. 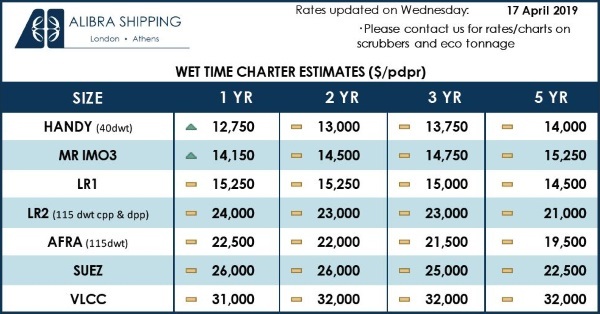 Consequently, the prices of marine fuel and jet fuel in Singapore are much cheaper than fuel prices in Jakarta. Supported by world-class shipyards and the third-largest global financial market, Singapore has become the largest transshipment market. It’s also the largest refuelling centre and the largest logistics hub in the world. In 2017, Singapore’s container port handled 33 million containers of 20-foot Equivalent Units (TEUs), second only to the port of Shanghai. 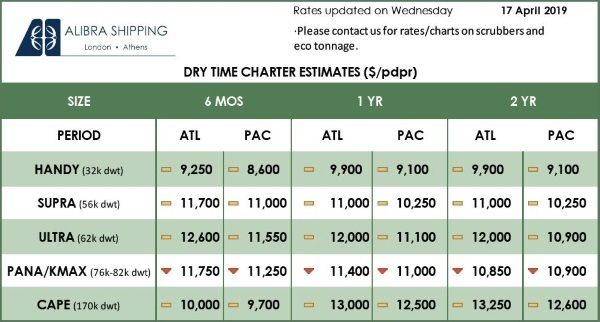 Malaysia also reaps the benefits of the transshipment trade from the spillover from Singapore. In 2017, both the port of Klang and the port of Tanjung Pelepas handled around 20 million TEUs. As a comparison, the port of Tanjung Priok in Jakarta managed only 6 million TEUs in 2017. Singapore and Malaysia nurture their strategic position in the Malacca Strait. Between them, they share the largest transshipment and logistics market in the world. In his book Geography and Trade, Paul Krugman wrote that the winners in international trade are “those who get there first”. In the maritime fulcrum context, Singapore came first in developing an international trade hub in the Malacca Strait. … ignored the issue of market structure and have instead been obsessed with geometry – with the shape of market areas on an idealised landscape, or with the optimal siting of facilities given markets and resources – while paying little or no attention to the problem of modelling markets. This approach, according to Krugman, is misguided. It pays more attention to secondary problems, details such as physical construction in a strategic location, than to assessing firstly whether there is market demand. Ignoring market modelling causes the focus to fall on physical construction before ensuring that the development of facilities will enable economic growth. The Suramadu Bridge funded by the Chinese is an example of such a failure. The bridge was built to connect industrial zones between Surabaya and Madura. But the development of industrial zones at both ends of the bridge has never been realised. Indonesia now has five seaports in the Malacca Strait: Sabang, Belawan, Dumai, Batam and the new Port of Kuala Tanjung. Indonesia needs to decide whether these seaports will be developed into transshipment ports, where cargo is transferred to ships for further transport to another port, or become hinterland ports, where cargo is transferred to rail or trucks to be transported inland. If it’s decided to develop a transshipment port, then Indonesia needs to understand the structure of the transshipment market and international hub businesses first. Second, Indonesia must consider whether it’s able and prepared to compete with Singapore and Malaysia, which have developed the largest transshipment market with almost perfect backward and forward linkages in the region. If the decision is to develop hinterland ports, then these ports need support from export-oriented manufacturing industry built in the ports’ hinterlands area. These hinterlands will not be suitable for manufacturing for domestic consumption. This type of manufacturing industry will choose a location close to the large consumer market such as the existing manufacturing belt in Java. The Belt and Road Initiative can provide financial and technical support. But host countries will only benefit from these opportunities if they are able to understand how the market structure of seaborne or land trade really works. Most importantly the host country should have the capability to formulate and implement a good plan so that the projects can be realised as planned.